Looking for an audio splitter that will help you split any audio files into small parts? 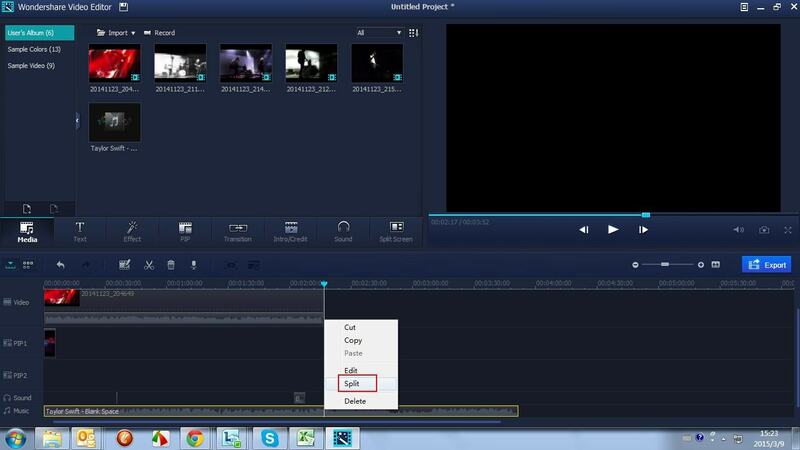 Or want to split the audio track from video to save as a new file? 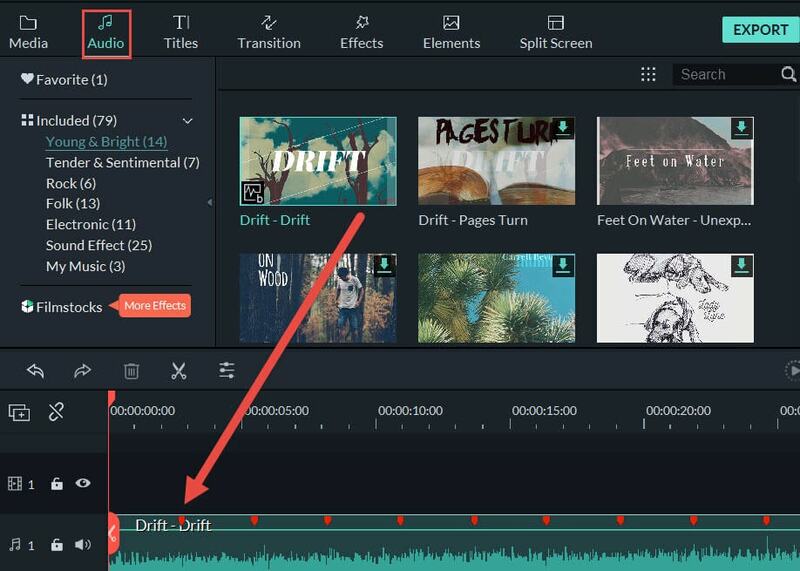 No matter what your situation is, you can always find an easy solution with this great video editing tool: Wondershare Filmora (originally Wondershare Video Editor). Designed for everyone to use, this program features an intuitive interface, and allows you to trim and chop your audio files as you like. What's more, splitting audio from video can be done with one single mouse click. Please find below the step-by-step guide. Preparation: Download Wondershare Filmora (originally Wondershare Video Editor) free trial below for your computer operating system. The following guide is for Windows users. Mac users can follow the same steps to do audio splitting. Click "Import" to browse your file folder and select your desired audio, or drag your audio files directly onto the primary window. All imported files will be displayed in the left item tray. When they come into place, simply drag and drop them to the Music Timeline. As mentioned, this audio splitter software provides two easy splitting methods. Firstly, highlight an audio file in the Timeline, and adopt either of two ways below to split audio files. First, drag the read time indicator to the exact point you want to split. Second, hit the "Scissors" icon to separate it into two parts. Repeat the above two steps several times until you get a couple of small audio files. Select and delete unwanted segments by hitting "Delete" on the keyboard. 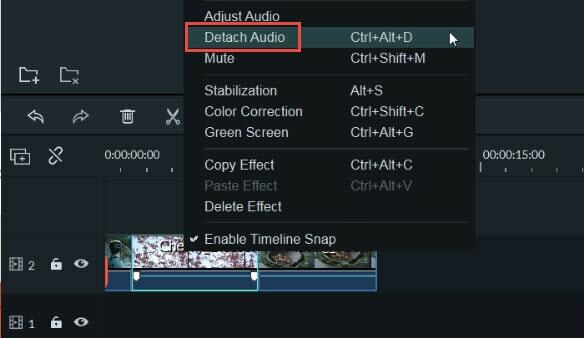 Right mouse click on an audio file in the Timeline, and select "Audio Detach" to separate audio from your video. Now in the Music Timeline, you can see a new audio file appears automatically as below. Tips: You can use the handy audio editing panel to adjust the audio volume, pitch, set fade in/fade out, and more. View the real-time effect in the right previewing window. If everything is good to go, click "Create" to save a new MP3 file under the "Format" tab. Though this audio splitter software can only save one audio file at a time, you can still save all the small portions of the same audio one bye one by repeating the exportation a few times. Bonus: This audio splitter is actually a combination of video and audio splitter. 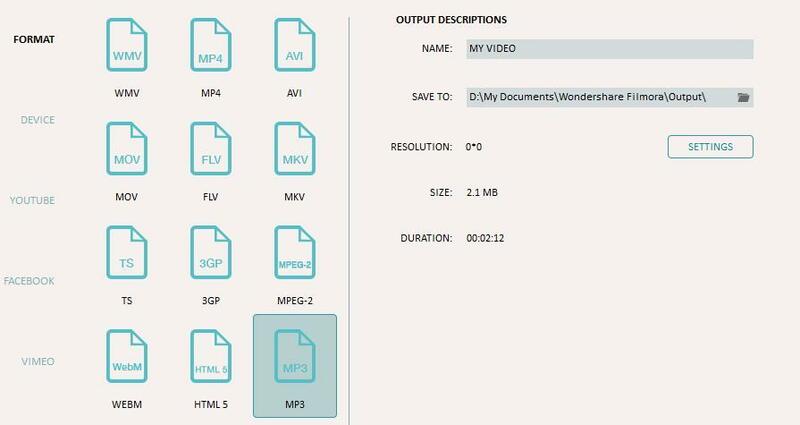 So you can also use it to split video files like AVI, WMV, MOV, MKV, MTS, DV, MPEG, and more.